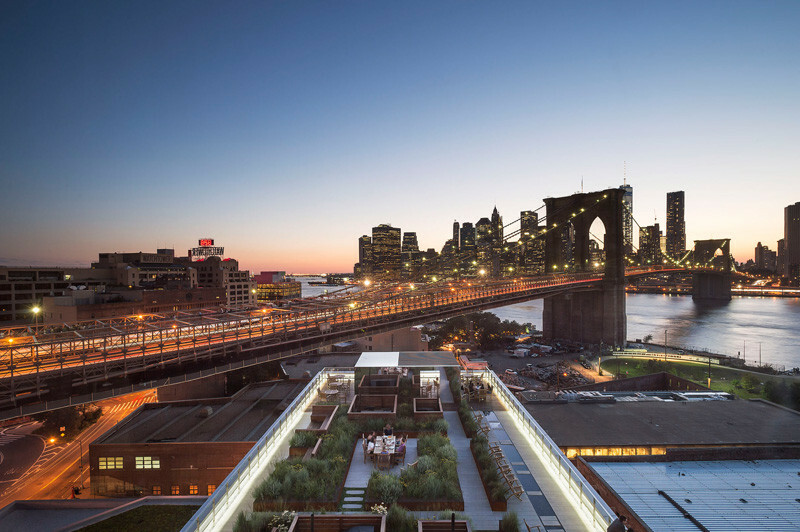 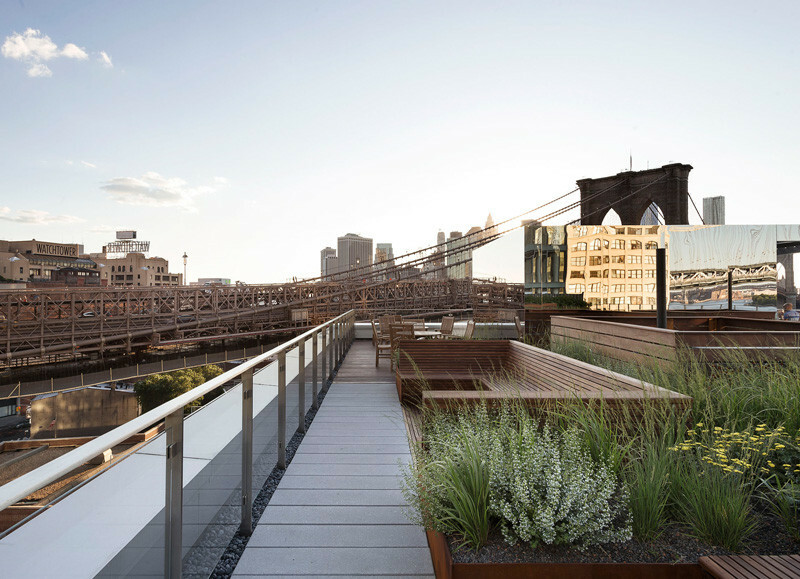 With amazing views of the Brooklyn Bridge and Manhattan, this nearly 6000 square foot rooftop garden is an incredible place to get away from the hustle and bustle of busy Brooklyn in New York. 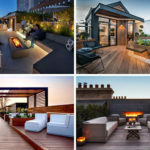 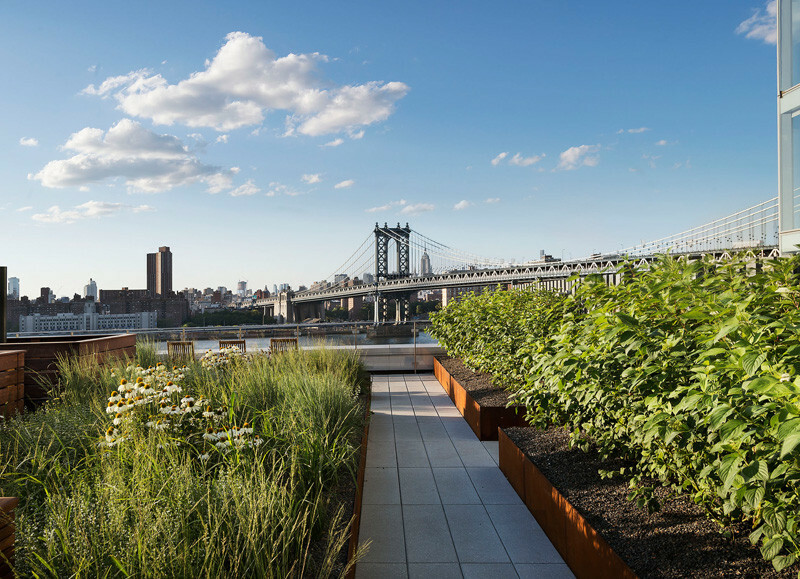 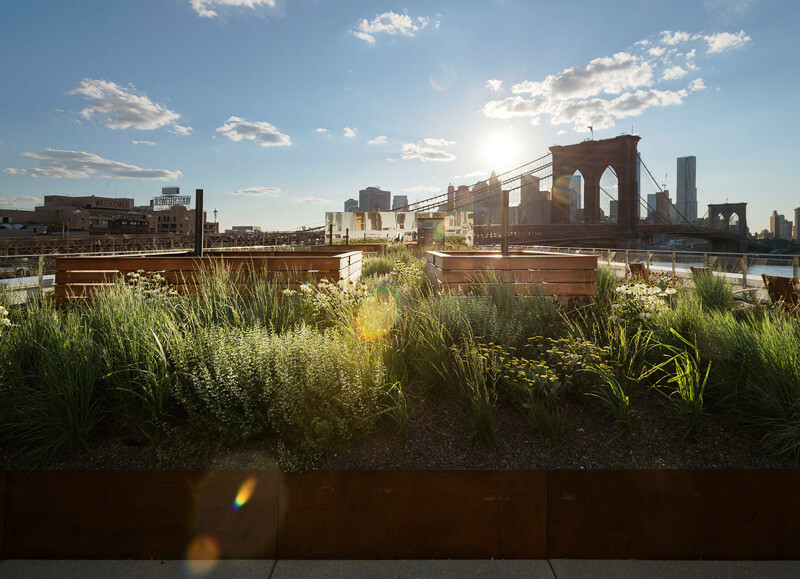 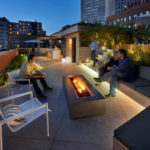 Completed by landscape architecture firm James Corner Field Operations, the garden is located on top of a seventeen-story apartment complex, designed by Leeser Architecture, and developed by Two Trees Management. 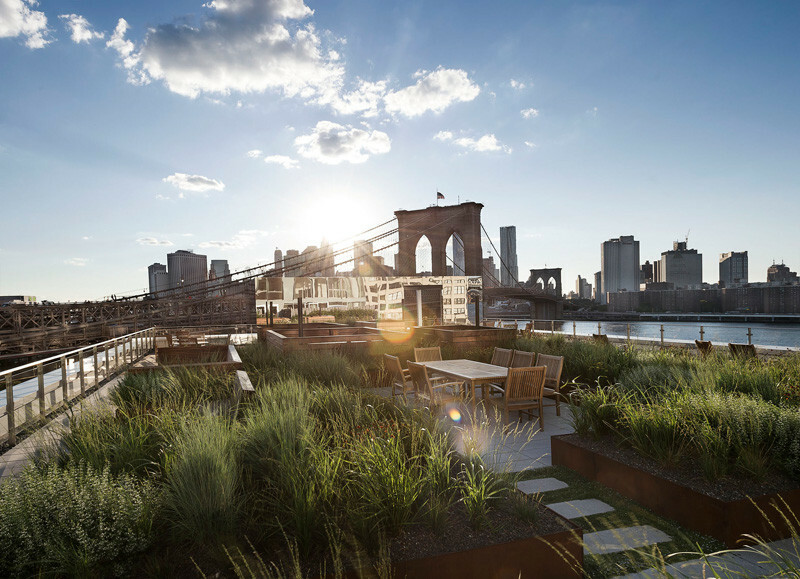 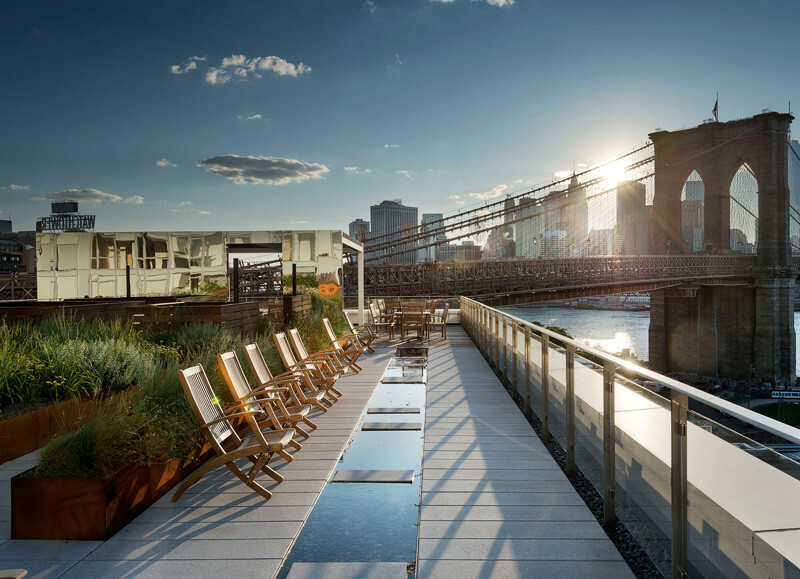 The rooftop is home to several different seating areas, all with amazing views of the Brooklyn Bridge, Manhattan Bridge, East River, and Manhattan Skyline. 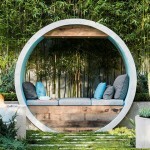 In the center of the garden is a dining area, which is surrounded by a meadow of various grasses, giving the setting a more intimate feeling. 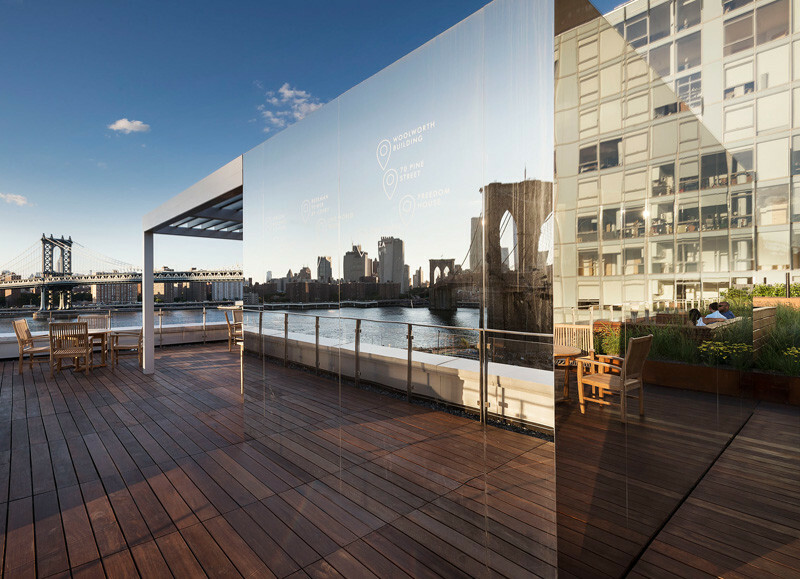 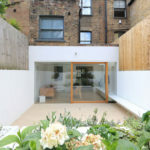 A mirrored box hides the stairwell rooftop access point.